We had our first "Asking for a Friend" of the summer on Wednesday, June 20. Mary Cannon Swain was a gracious host, and she also introduced us to Heather Hagins. Heather is a counselor from Covenant Counseling in Birmingham. 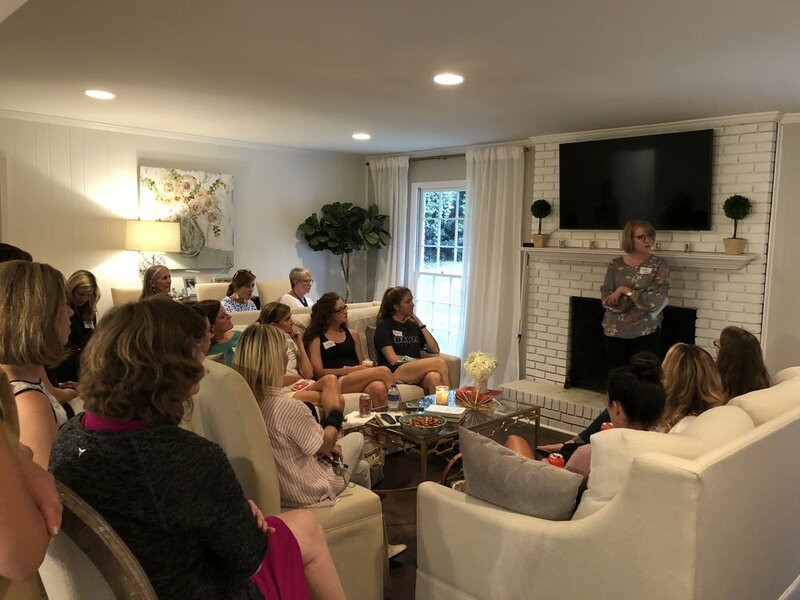 Heather's knowledge and help with anxiety and depression mixed with her humor, gentleness and gospel centered heart encouraged our women to ask a lot of questions and start some real conversations. The time together allowed us to grow in an area that's needed to many of us personally and as a church body. I am looking forward to the other "Asking for a Friend" nights this summer! It's a great time to just come, hang out and learn together. July 11 we will meet together at the home of Sara Henry to talk about the seasons of singleness and how we as a church can love our sisters in the middle of them. Whether you yourself have never been married, are currently married, or have walked through a broken marriage, we think this night will encourage and challenge you. Our goal with these nights is to start needed conversations between all of us no matter the season of life we are in. We look forward to seeing you there!